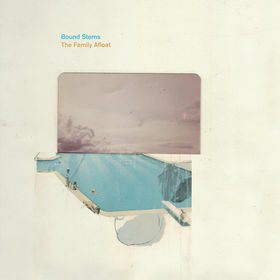 I love that moment when you find some new piece of music that you know will totally consume you. The song that will be on repeat for weeks to come. The song you find yourself humming in the shower. The song that you will, mayhaps, write a blog about. The lyrics are pretty literal; it’s a song about Winston Churchill and his communications with Franklin Roosevelt during the run-up to the American involvement in World War II…a pretty heady subject for a pop song. It is a haunting melody, but I think that the reason it’s been so entrenched in my consciousness these past few weeks has a lot to do with the upcoming election. You see, it matters who we put in that chair. You can see all the faults of the world outside your window. 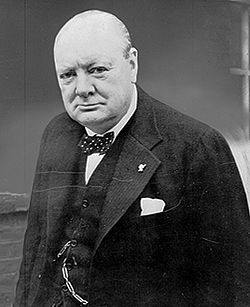 The Winston in the song is, of course, Winston Churchill – the great leader of Britain during World War II. While his country was bombed and battered, it was his speeches and rhetoric that fortified the spirits of the British people for the long, dark days ahead. Words matter, and the ability of our leaders to use them effectively should not be understated. 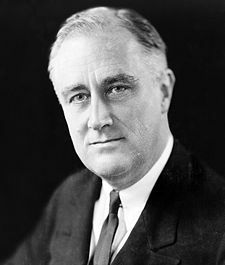 On the other side of the ocean (I detest Americans who say “pond”), Franklin Roosevelt was presiding over the most isolationist Congress in American History, and preparing to run a third Presidential campaign against Wendell Willkie, who was running on a platform to keep American boys out of war. Roosevelt was also, though, secretly corresponding with Churchill and seeking ways to assist Britain and France in the war – against the advice of both his cabinet and party. All the while, Winston waited. With the destruction of his country continuing every day, he waited. I am enamored with the curious mind. I admire those who ask why, not out of politeness, but out of a genuine interest in learning something that they don’t already know. To me, there is no greater quality in a person. I seek it out in my friends. I need it in my leaders. I need to know that my leaders are not so arrogant that they fail to seek out contradictory opinions to their own. I need to know that while they may, in fact, be an expert in the problems of today, they will not hesitate to ask for assistance in dealing with the problems of tomorrow. I need to know that they wake every day wanting to know more about the world beyond their doorstep. “Tell me what you think of the world, would you now?” This is a simple question, and a powerful sentiment. “It’s important that we meet now, there isn’t enough to go home. “I beg your pardon if you woke up feeling sorry,” I said. The tone and the language used here is one of desperation; Winston Churchill was begging Roosevelt for help in staving off the German invasion. 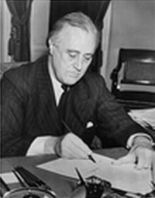 Roosevelt did what he could within the bounds of the domestic political environment, in the form of the Lend-Lease Act of 1941. This granted Roosevelt the authority to “lease” military equipment to Britain during their time of need. It helped, but it was far too little. What this song does, and does well, is humanize these two leaders. These were great men in an incredibly difficult situation. They met repeatedly over time in an attempt to, in fact, save the world as we know it today. There were decisions to be made that have since shaped all of our lives, and they were ultimately decided upon by these two men and perhaps these two men only. Who we put in that chair, and who we send into that room, has the ability to shape the course of human history. You are not voting Liberal or Conservative. You are not voting Republican or Democrat, young or old. You are casting a vote on the soul of a man whom you are asking to shepherd the future of this world. I will not dictate to anyone who they should vote for; I only ask that you consider these things. Then they cried a dry sob.